This morning we were the worst parents in the world. Put simply: everything was wrong… The wrong amount of milk had been put on his bowl of shreddies, the wrong colour t-shirt had been chosen, his little brother was playing with the wrong toys… He had definitely got out of the wrong side of bed that morning. That much was clear to us both. Yesterday was a happy day, a cuddly day, a day full of laughter, love and life. Today we had hit rock bottom and, oh boy, didn’t we know it! After the Nth screaming tantrum before 9am and a very sorry episode involving a blue wax crayon being scrawled all over the living room carpet, Daddy and I decided that a change of scenery might help us all. 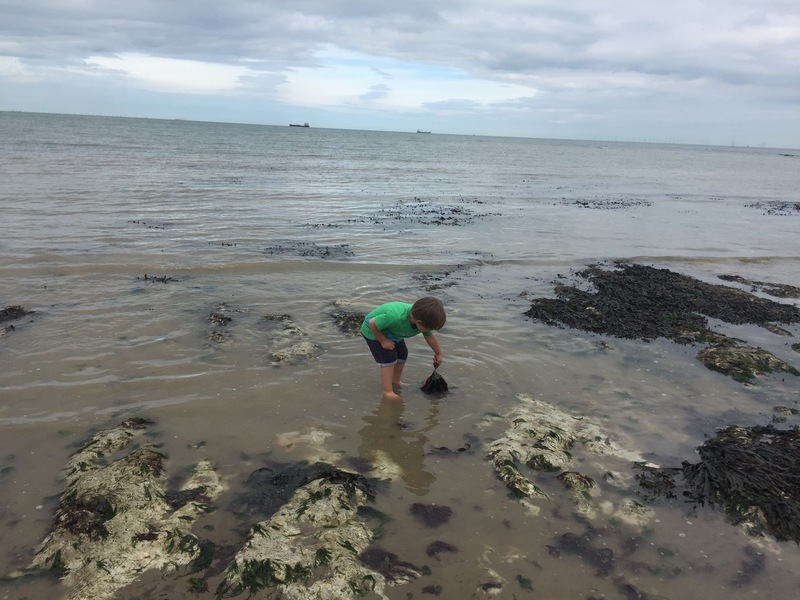 So, in a bid to swap the screaming for ice cream, the meltdowns for memories and the tantrums for tan lines, we packed up for a day at the beach. 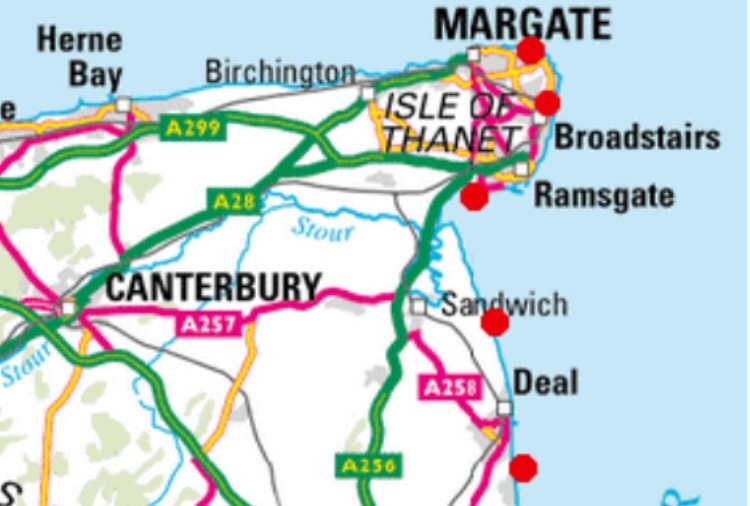 Just an hour and a half away by car (affording both boys a decent and much needed nap) is Kent’s Riviera. 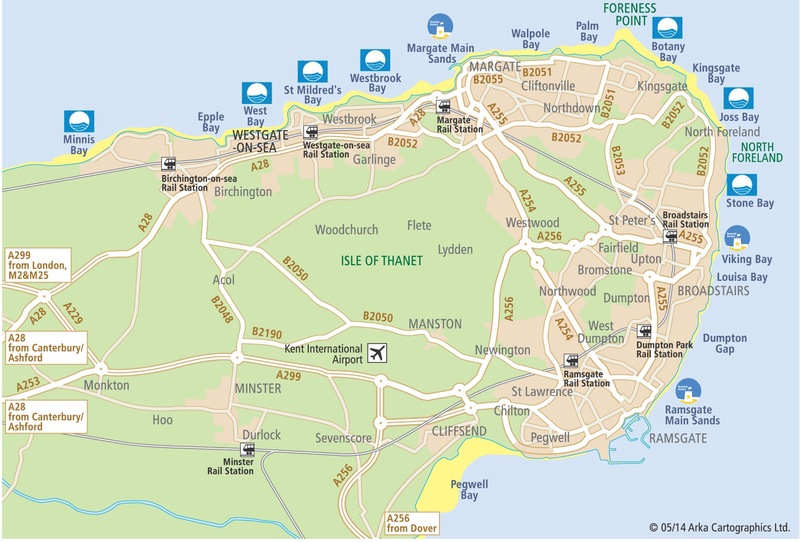 This stretch of coast, on the Isle of Thanet, offers the most beautiful soft sandy beaches, so different to the pebble beaches we are used to on the south coast. Armed to the teeth with sun cream, beach wear and a sense of optimism and purpose about our spur of the moment day trip, we spent the (now peaceful) car journey googling beaches and quietly making plans. The beach options on that stretch of coast are plentiful, but we opted for the smaller Botany Bay, famed for its fossils, rockpooling and quieter reputation, in the hope that we could park more easily and have a bit more space to roam. As it turned out, we had chosen wisely and easily found on-street parking in an adjacent road. 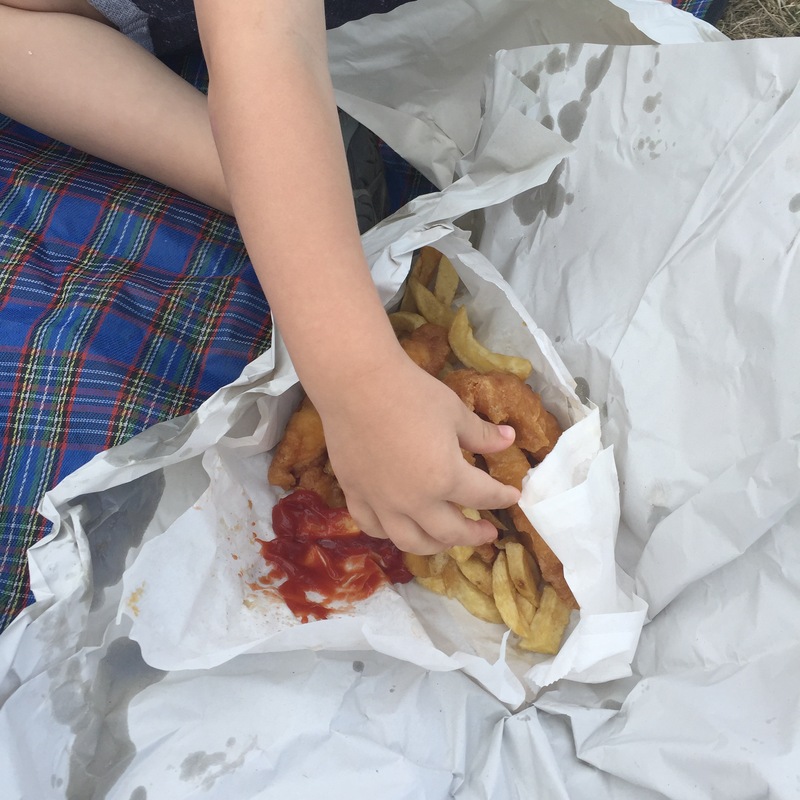 We had also picked up some Fish & Chips from a shop just a mile or so away, as we’d read that there isn’t much at Botany Bay in the way of food, except for the hotel there, and so we were all set for a picnic by the sea. With the boys successfully loaded into the double pushchair, we made our way to the seafront. 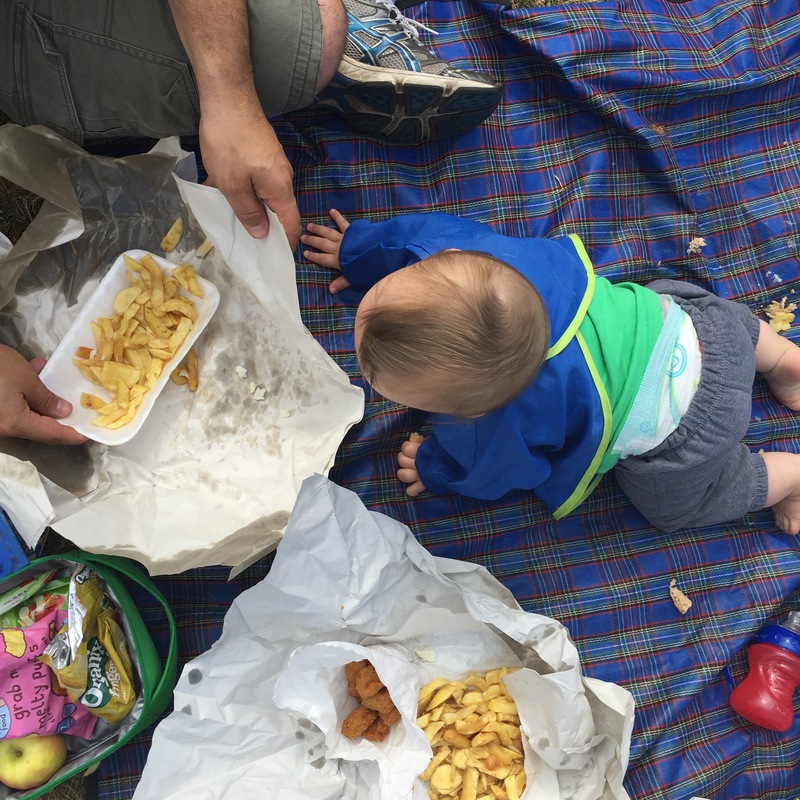 There is a lovely grassy area at the top, opposite the hotel and overlooking the beach with amazing clifftop sea views, and it was there that we pitched camp for our Fish & Chips picnic. Tummies full, we headed down to the beach, which didn’t disappoint. “Sandcastles! !” came the cry from the boy who did not want to go to the beach. “Can we paddle in the sea? !” Yes, yes, yes. The silent prayers of tantrum-weary parents all over the South East could be answered in a flash by a trip here. 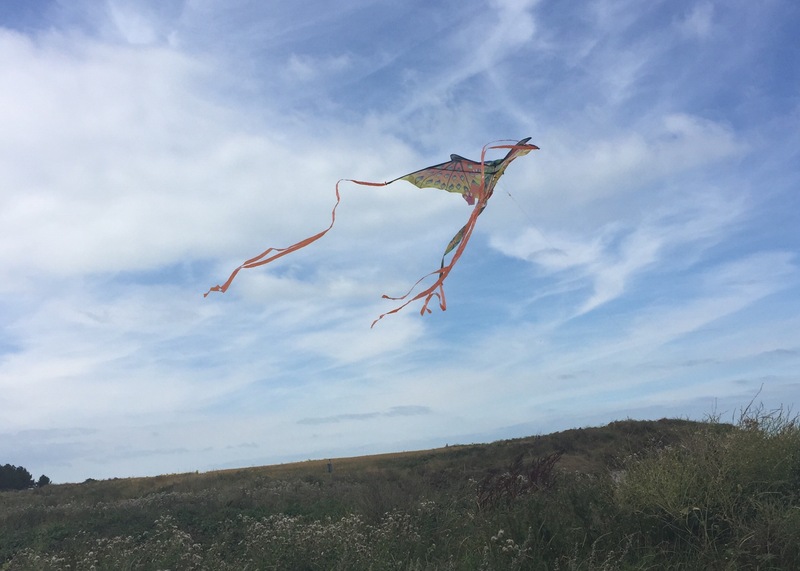 “A kite! A sea gull! A boat!” The wide-eyed observations kept on coming and the boy, who just a few hours earlier had appeared before us as a Tasmanian Devil, was transformed. It’s hard being three. Of that I have no doubt. I don’t suppose we’ll ever know what caused this morning’s outbursts, perhaps he never knew either. He’s three, and even the little things seem enormous to him and something as trivial as ‘Woody’ misplacing his hat can trigger utter and total meltdown. But at the same time, I get asked for a “cuddle and a kiss” at least 50 times a day on average. 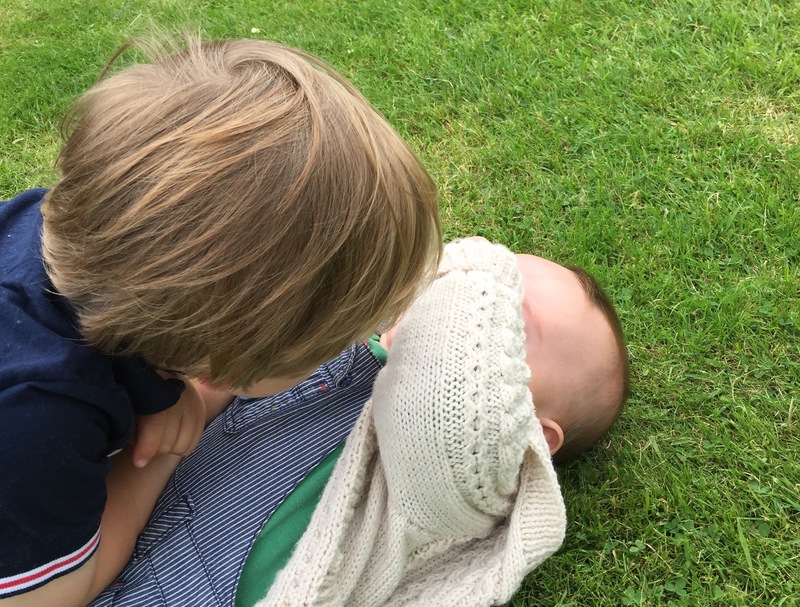 Being three is tough and needs hugs and reassurance every step of the way… unless he’s being fiercely independent and stroppy of course. Then, he needs no-one. For at least five whole minutes. 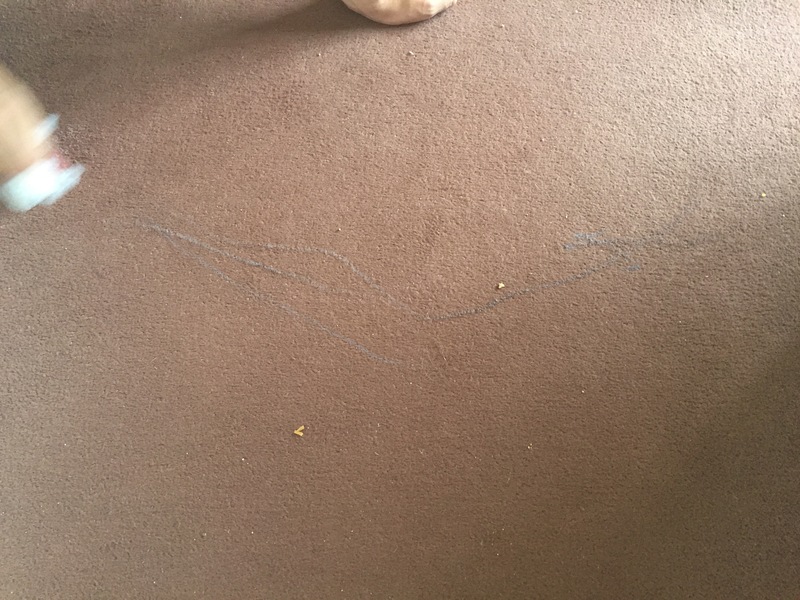 Now, does anyone have any suggestions for how to get wax crayon out of carpet? It sounds like you really managed to turn a frown upside down and made some lovely memories. You sound like oh are doing great Mama. Just a warning there is another stage no one tells you about (boys specifically). I wrote a post on it, about Stroppy Sevens.. It’s a real thing. When you have time, have a mooch. It’s good to be prepared.